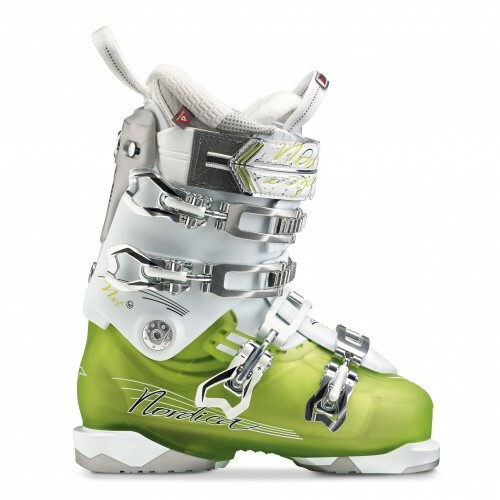 The Nordica NXT N1 W makes a great ski boot for aggressive skiing women who have a medium width forefoot and medium sized shaft of the leg. 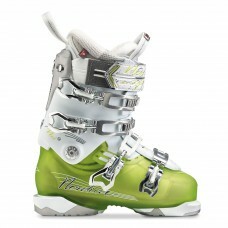 The 105 Flex Rating is powerful, and delivers excellent energy transmission when you are moving fast down the mountain. Primaloft Insulation in the liner keeps you extra warm when you are out riding on colder days. Nordica's Cork Fit Liner utilizes Cork in the heel and ankle pockets that can easily be heat molded to your foot. High Traction Soles make walking on slippery surfaces much easier for you. An ACP (Adjustable Cuff Profile) allows you to fine tune the fit around your calf muscle for a perfect fit.